The climbing world was shaken by the news of a serious accident involving Kurt Albert, the German climbing legend who invented the concept of the redpoint and hence the modern concept of free climbing. Planet Mountain has the full story as do many other websites. Kurt was 56 years old. "the German climbing legend who invented the concept of the redpoint and hence the modern concept of free climbing." Actually the concept of sport climbing, not free climbing, I would credit the early Brits with that. Kurt was a great man and an inspiration. Good point about free climbing and the British. However, definitions of a free ascent remained pretty loose well into the 1970s in both America and the UK, as well as Europe. Albert's contribution was to define more precisely what constituted a free ascent and to provide a term to recognize it, hence my choice of the word "modern." 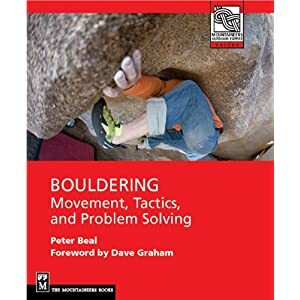 While it works particularly well with sport climbing, the redpoint concept is still applicable to so-called traditional pitches as well. There is no question that he was one of the most important figures in world climbing and a larger-than-life personality to boot.